Tis' the season. 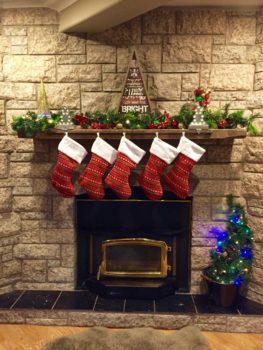 Creating a Christmas Mantle for the first time. You are here: Home / Home / Tis’ the season. Creating a Christmas Mantle for the first time. Tis’ the season. Creating a Christmas Mantle for the first time. This will be our third Christmas in our home and it is the first year that I have spent time decorating our mantle area. Actually, it’s the first time that I’ve ever done anything with any mantle. See how I did with my first go around! As the first area in our home to be decorated, creating this Christmas mantle has definitely gotten us all into the holiday spirit. I am a big fan of traditional Christmas colours so this year I decided to go with red, green, and gold! 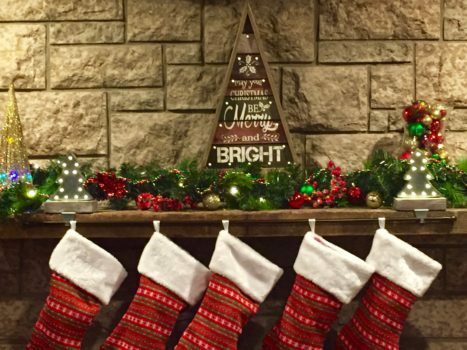 However, the mantle itself is actually a repurposed piece of barn wood so the stocking holders and ‘Be Merry and Bright’ sign were purchased with that in mind. I knew that I wanted to have a garland on the mantle but I wasn’t sure what to do with the sides. 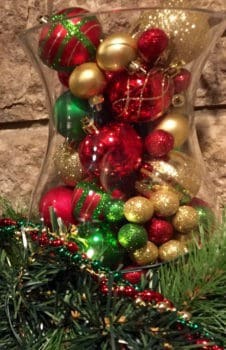 Using a vase and some Christmas ornament bulbs in various sizes and textures I used them to create a simple yet festive decorative piece. The best part is that this is a budget friendly way to decorate. I didn’t want to use a stocking holder for each of us because I felt that it would have taken up too much room. Instead, I used two stocking holders and a curtain rod to hang them from. The garland and any of the lights are all battery powered. (1-year-olds are curious) It’s worked out quite well because all of the lights are on a 6-hour timer and it saves on energy. Convenience at it’s finest! Another thing that I did was I added small little bursts of decorations throughout. A branch of berries, some Christmas bulbs strategically placed, a beaded garland and more! All to finish off the perfect look for our Christmas mantle. your decorating tips and hacks? 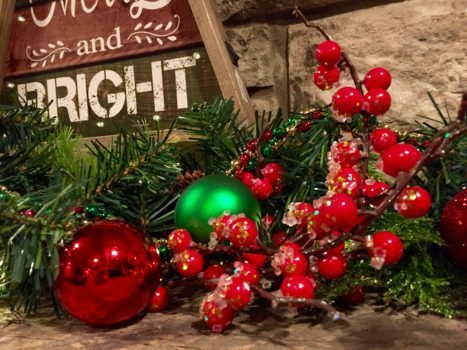 Get inspired for everything Christmas by checking Wayfair for ideas! This post was sponsored by Wayfair however, all opinions and content are my own. And to be honest, I think that this post may have started an obsession. 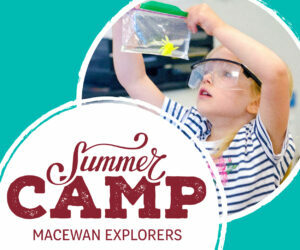 Let’s get social! Follow me on Facebook, Twitter, and Instagram.